The football goals used in the modern game have evolved greatly since the original laws of the game were drawn up. The 1848 Cambridge Rules stated that a goal should be awarded when the ball passed between upright posts and a string. No reference was made to the width or the height of the goal posts. In 1863 the newly formed Football Association drew up their rules which declared that the goal posts should 24 feet apart, this ruling still remains in place in today’s modern game. However, there were still no measurements given for the height of the goal. A goal could be scored at any height as long as the ball passed between the posts. This gave cause for many arguments during games. Was a goal scored? Did the ball pass between the posts? Teams could just not agree. 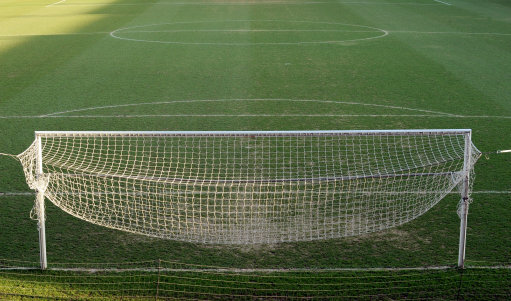 The string crossbar used on the original goals was replaced by tape for the first ever FA cup final in 1872. The crossbar was finally made compulsory in the FA rules of 1882, which specified that it should be at a measurement of 8 feet above the ground. However the accuracy of the goal came in to question once again in 1888. In the 4th round of the FA Cup Crewe Alexandra drew with Kensington Swifts 2-2. After complaints from Crewe that one crossbar was 2 inches lower than the other the game was awarded to Crewe. The height and width of the goal posts were fixed but they still had nothing to capture the ball once a goal has been scored. 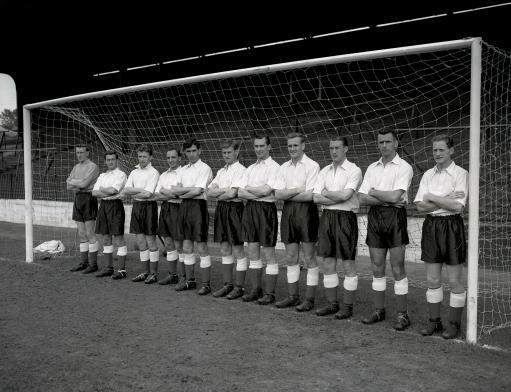 The introduction of football nets did not happen until 1891 and was first used in a FA Cup final in 1892. The round or spherical posts used in today’s game are a relatively new introduction. Square posts were only banned by FIFA in 1987. In the 1976 European Cup Finals between Munich and Saint Etienne the square posts used at Hampden Park caused great controversy. With the game poised at 0 – 0 Saint Etienne midfielder Dominique Batheney broke clear and beat Munich goalkeeper Sepp Maier with a shot only to see it come back off the square crossbar. Shortly after, they hit the crossbar for a second time from a Jacques Santini header. Modern football goals are constructed from extruded aluminium or steel sections and comply to strict safety laws. FIFA have recently trialed goal-line technology integrated into the goal post to finally put an end to disputed goals. The modern goals have certainly come a long way since their introduction. Never mind, just seen it’s a sponsored post. The posts were dubbed “les poteaux carrés” (the square posts) — how fantastically imaginitive! and no mention of the reasonable argument of enlarging goals because people were so much smaller back then? keepers are massive these days. Interesting article here. Great to see how football goals have changed over time!! I noticed that Jerren brought up the fact of no citations, does anyone have a link that may support the claims made in this article? Also, what about the likes of portable football goals that are seemingly growing in popularity. I have used the QUICKPLAY Sport KICKSTER goals for a few years now and they are great to use and so easy to set up!! How come there is no mention around portable football goals? Are goalposts round or elliptical in cross section and what are their dimensions?. Why PPL CALL IT Woodwork then I serch tryna figure it if any wood involved. ..